If you have to cancel your reservation, until 4 dias before Arriving date the cancel payment is for free. 2 days before Arriving Date the cancel Payment is 50% from your booking. If you not arrive without canceling the cancel Payment is 100%. We will take this cancel Payment from your credit card. Welcome to the Iquisa Hostal. Lovely hostel, with new management attended by a native family. We offer a relaxed atmosphere, quiet and familiar. 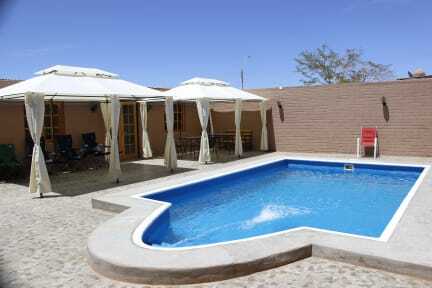 It is located north of the main square of the village, a 10 minute walk in the quiet area called ' El Carmen '. HOSTEL Iquisa has 8 rooms with superior furnishings, 3 double rooms (matrimonial) with private bathroom and 2 double bedrooms (matrimonial) with shared bathrooms, 1 triple bedroom (3 single beds) with shared bathroom, 1 five beds room and 1 six beds room with private bathroom. All decorated in the style of the area. 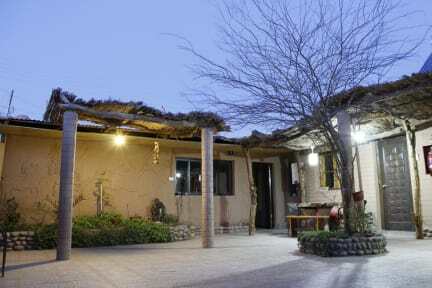 Iquisa Hostal has a cute courtyard with hammocks, patio furniture where you can enjoy the sunshine or fascinating days in the magnificent starry desert nights. There is also a kitchen available to share with tourists, as well as wi- fi, laundry service, a swimming pool and a very good breakfast in the morning. The pool and the breakfast area are located in an annex building (20 m away), administrated by the same family.